We as architects in the 21st century embrace ever accelerating changes in computing, materials and construction technology. We work within hundreds if not thousands of institutional and governmental rules, guidelines, regulations, codes and laws. We deal with insurance companies and lawyers. We collaborate with engineers and technical consultants—sometimes as many as twenty on a single job. We work with builders, building trades, manufacturers and materials suppliers. We facilitate dialogues and decisions within complex hierarchies of elected officials, administrators and communities. We manage workshops, make presentations, write books and articles, participate in conferences, win awards and sit on juries. There is a lot to know, a lot to do, and it all adds up to a whole lot of work that could easily be mistaken for what it means to be an architect. And yet none of it alone or in summation is what makes anyone an architect. What does? What do we do? 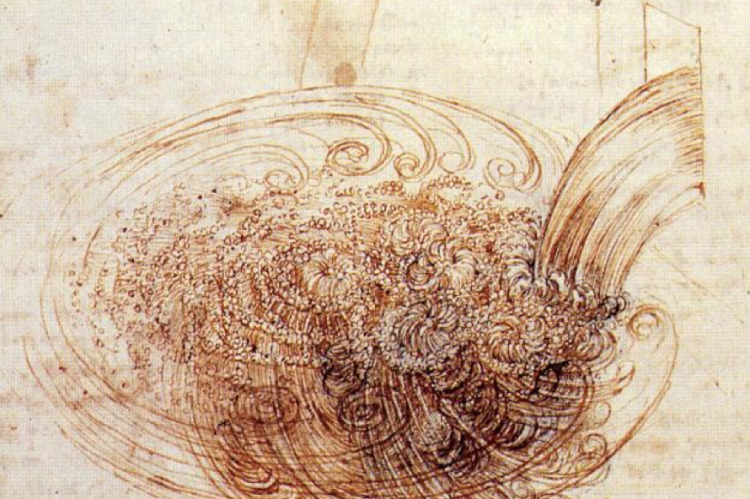 Da Vinci’s not drawing a pretty picture of water. He’s trying to understand how it behaves, how it works. 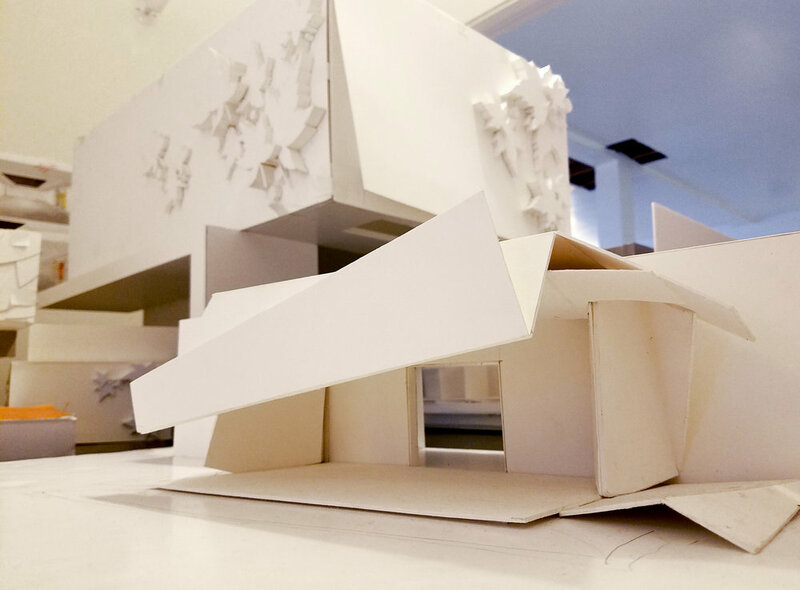 Architects draw and make models and by that I mean more than drafting a line or gluing together cardboard. It is how we think. A writer writes, and while certainly every writer has his or her favorite tool to use (pencil, typewriter, word processor), no writer will ever claim that the act of writing is one of merely drafting or recording what he or she has already conjured up in his or her head. They will tell you that after the initial idea takes root the writing “writes itself”, that it is the physical act itself that manifests the thought, where the creation occurs. (That is why the choice of tool matters). Any writer will also--as Steve and I are at pains to convey to our associates here in the office-- tell you that writing is re-writing. Nothing we do comes out right the first time we try it. There is nothing mysterious or mind blowing about it. Inventing something that does not yet exist requires time, repetitive failure and a fair amount of frustration. Drawing and modeling are re-drawing and re-modeling. 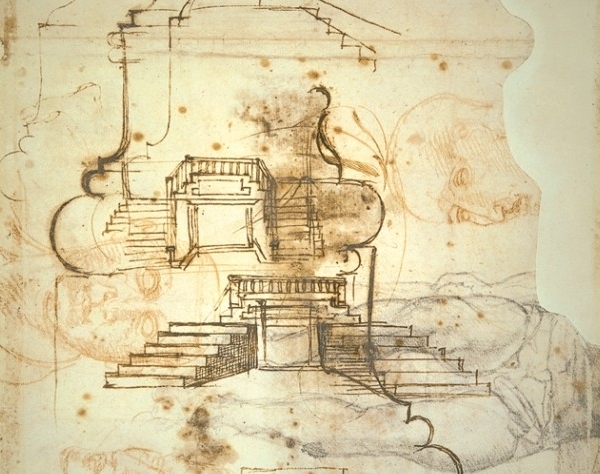 Michelangelo draws over sketches for a painting he’s thinking about as he tries to figure out what the stairs in the Laurentian library should look like and how they should work. People seem to get this about writing, or painting or singing or acting but why is it not so well understood about what architects do? Why is it that we are defined as a discipline more by all the distractions that I described and less by what resides at the core of what we do? I knew I wanted to be an architect when I was 12. I remember telling my parents at the dinner table that I liked math and art so I wanted to be an architect. Now nearly fifty years later I think I was pretty much spot on. I use math that I learned in school and college every day. I make art-- meaning drawings and models--every day too, or almost every day despite all the distractions (like writing this blog) that cause me to not sit (or stand) at my desk and be an architect. Jim’s thinking about how to assemble the component parts of Steve’s model for the street facing gallery in the new Museum of Redlands. It wasn’t until at age 21 when I had arrived at architecture school nearly ten years after my childhood proclamation that I realized no one in middle school, high school or college had served me well. (My parents enrolled me in local community center drawing classes where I was the only student who was not a middle aged or elderly woman). It was a time when main stream education, at least where I went to school, was oriented almost exclusively toward creating “professionals”—lawyers, doctors, accountants, engineers and scientists. The education I got included lots of reading, writing, math and science. I was well prepared for graduate school in all of those professions. None of it prepared me for architecture school or becoming an architect. Jim's drawing of the Museum of Redlands entrance. No mainstream school in the United States believes drawing isn’t anything other than an “enrichment program” or a nice diversion from what’s important. And yet we all like to think of Michelangelo and DaVinci as geniuses. (We wouldn’t have modern science without those artists or others of their time.) I hear people complain about how ugly new buildings are, what a state of crisis the profession is in and what do we have to do to fix this? The answer is simple: architects need to stop finding excuses to distract themselves from (the sometimes lonely and punishing hours of) drawing and making models. And schools need to place drawing and making things front and center in their daily curriculum. We should all be drawing and modeling every day from age 2 to age 18 whether we become an architect or not, certainly if we want to, and especially if we want good architects.